Family worship is a short, informal, and lively service with music, teaching and activities aimed at children. It's about half an hour long, followed by croissants, bacon rolls, coffee and juice, and is great way to introduce toddlers or primary school children to church. 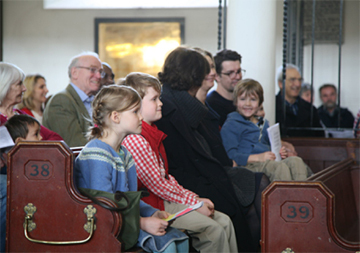 Family worship usually takes place at 9.30 am on the first Sunday of the month.